Pantonic Steel Orchestra is made up of a group of about one hundred charismatic, talented and popular young men and women who have captured the heart and soul of the urban Caribbean experience. In a nutshell - they are New York - in attitude, in presence. These exceptionally versatile musicians from varied backgrounds and cultures are equally comfortable with Rap, R&B and Popular musical cultures as they are with Caribbean music. They represent the next level of the burgeoning steelband phenomenon. In the premiere North American Steelband competition which takes place annually in New York, Pantonic - formed in 1997 and headed by founder Glenda Gamory - has placed 3rd in 1998, 1st in 1999, 2nd in 2000 and 1st again in 2001, 2002 and 2003. The group's special combination of musical excellence and dynamic drive, together with the pannists' direct musical and blood lineage as children and grandchildren of the legendary members of Steel Orchestras such as Desperadoes, All Stars and Renegades - bring a legitimacy and fiery edge to their performances that can make them the first legitimate Superstar Steelband on the world stage. Bred and raised in New York, the musical mecca of the world, Pantonic was born MTV-ready with their instinctive synchronous choreography that assures a mass global youth appeal. The world-wide acknowledged, unmatched and unchallenged musical wizardry pf Pantonic's arranger Clive Bradley, is combined with the unique and unrivalled capturing and production techniques of Basement Recordings, Inc., bringing forth riveting steelband performances on Pantonic Live! The CD. 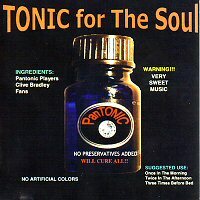 The inherent mystical and hypnotic pulsating of the drums in Pantonic's pan performances as they stake their musical claim with clinically precise but intimidating thundering bass lines, accompanied with insistent and mesmerizing minds, and capped by the triumphant proclamation of their searing high notes - is accurately reproduced by Basement Recordings in a way that will be unequalled by any other steelband audio productions. Musical arranger Clive Bradley is to steelband what Jay-Z and Dr. Dre are to Rap and Pantonic could therefore very well be the first Platinum recording steelband; and could mark the beginning of bringing about the return of instrumentals, which will be downloaded and played on MP3s and musical systems with a musical fervor which has not been seen since the seventies.